Doughnuts mean a whole lot more than a good living for Jackie and Chris Stiansen, owners of designer doughnut shop, Doughology in Lynbrook. 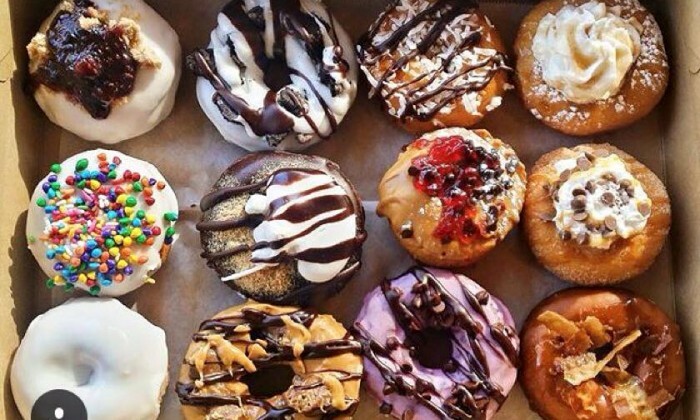 Doughology has made quite the stir for its melt-in-your-mouth, customizable doughnuts. From blueberry cheesecake to bacon chocolate, the Stiansens have created an incredible boutique menu for their patrons. 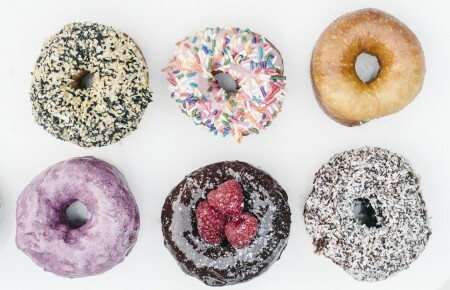 If you’d like to explore your inner “doughologist,” choose your flavor, frosting, filling and 21 topping options for a creation as Instagram-worthy as it is delicious. Although it’s doing well, Doughology was never about financial success. “When I decided that I wanted to be a better person and be out there, my husband decided to take the chance on opening this place with me. He’s one hundred percent dedicated to making this place something.” The Stiansen’s are passionate about funding several charities, including various cancer research organizations, and frequently appear at local fundraisers and nonprofit events. Currently, purple doughnuts are available for sale to benefit the Relay for Life. “Giving so much to everybody just fulfills me too. People will just come and donate; every week we find a place to give to,” Jackie said. Whether you’re in the market for an after-lunch treat or shopping for the family party dessert, the Doughology family is happy to help you learn the science of creating the perfect doughnut. Shop smart and local, knowing your purchase is also sweetly beneficial to many a sundry of charitable causes. Doughology is located at 45 Atlantic Avenue, in Lynbrook.